LIONS SUPPORT "HEALTHIFY" WORKSHOP IN MAY The April 11, 2013 Lions meeting was a busy one! 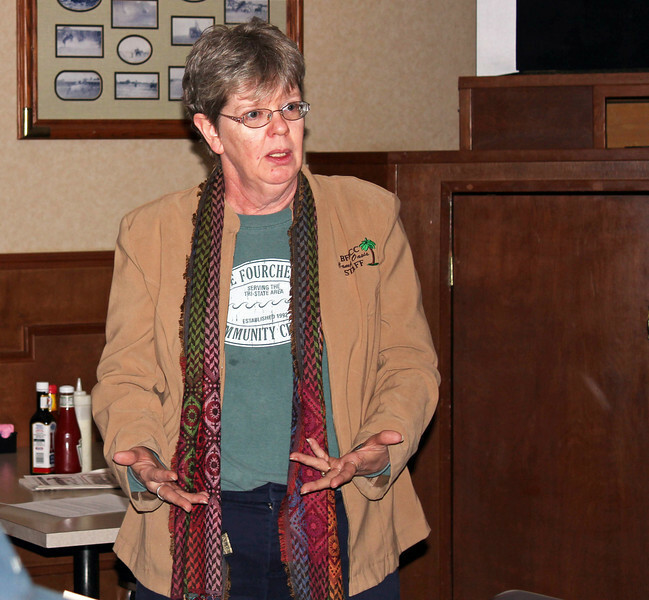 Marcie Urban provided a short program on the "Healthify" workshop slated for Sunday, May 5, 2013 at the Belle Fourche Area Community Center (BFACC). The event is preliminary to a walking class that will meet twice each week and build up to walking a mile by the time of the June run that is planned. The "Healthify" family workshop is open to all from ages 4 to 94 and costs $1 per person. Lions voted to contribute $218 to help make the event a success.